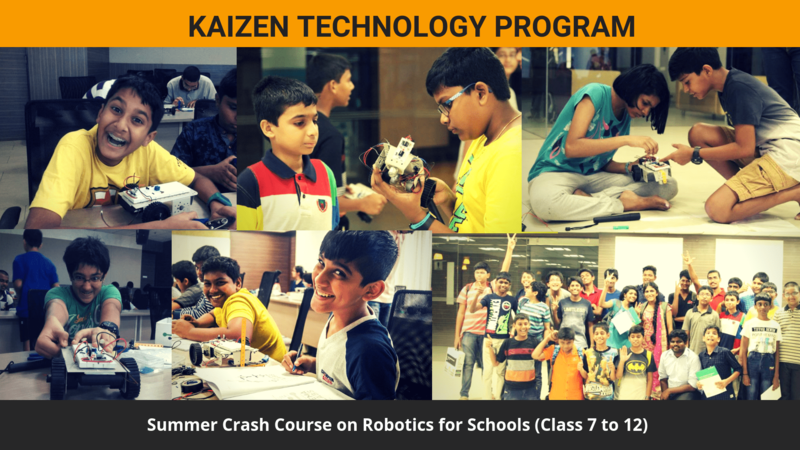 Kaizen Technology Program is the Summer Robotics Training Camp exclusively for school students from Class 7 to 12 which aims at teaching from basics of Electronics & Programming to latest emerging technologies with a very strong and fun hands-on experience by building Robots. A very elaborate kit of components required to build the robot will be provided to a team of 3 students. Necessary resources such as theory booklets, practice handouts, necessary software, online tutorials and other resource materials will be made available to the students. Note: A team by default will consist of 2 members, if a participant wants to take part as a single member team, kindly contact the number below.